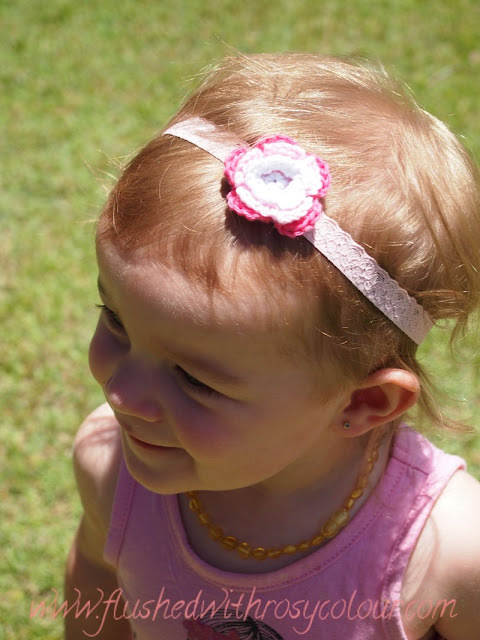 I made this headband for my cousin's daughter, Isabella Rose. She came to Thomas's birthday party so I gave it to her then, and took some photos, which I think turned out really well. Isabella's parents gave me permission to use the photographs in my shop, so I've listed it there in case anyone would want me to make them a custom order. It's pretty quiet in my shop, but I have managed to sell a couple of things. Well, its 10 things to be exact. I've made back almost half of the money I've spent on yarn! Needless to say I have a LOT of yarn left over and still have a lot of things to make! 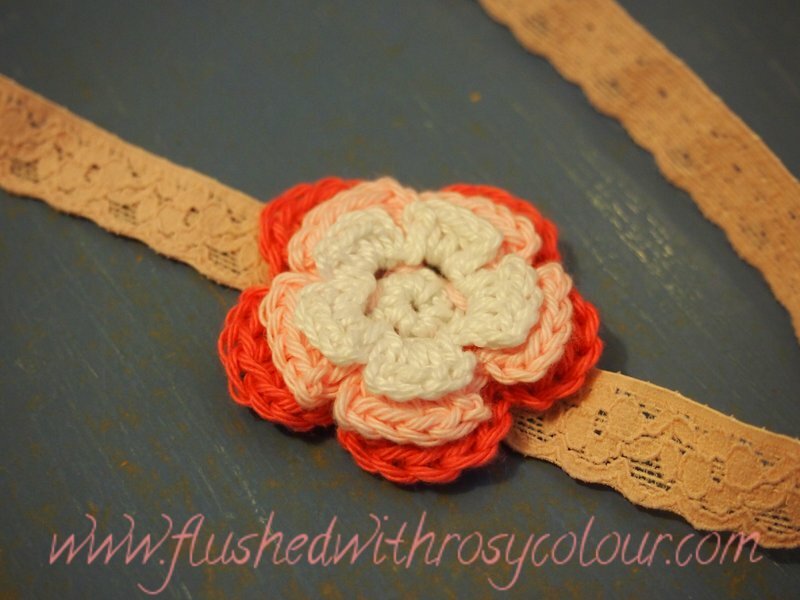 This headband is a traditional crochet Irish Rose, which is available as a free pattern if you do a google search. It's a fairly common pattern. 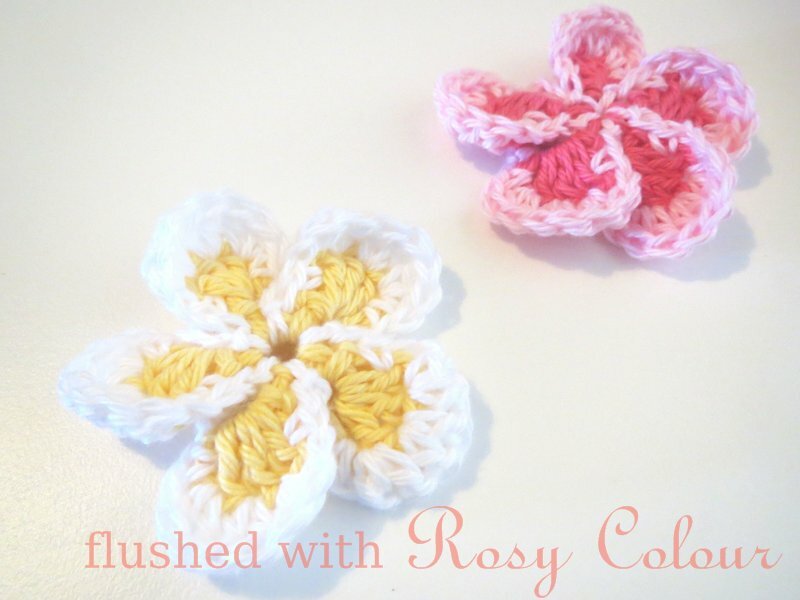 I did this flower in 3 colours, the white is some cotton I had left over, the pinks are new 4 ply cotton I bought from Bendigo. I know I said I wouldn't buy any more yarn, but I just HAD to get some pink 4 ply cotton! 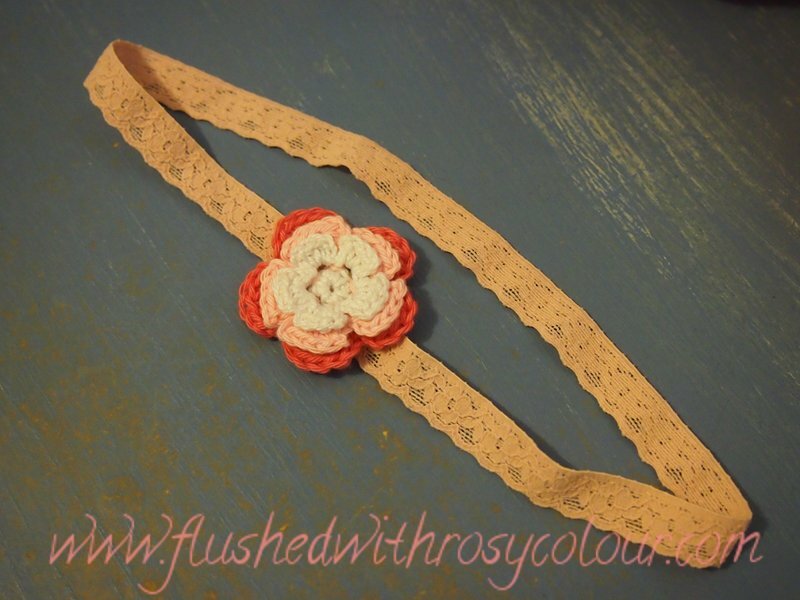 I attached the flower to a short strip of thin stretchy lace I bought from Lincraft. I hope I hear back from Isabella's mum so I can learn if it stays on well enough. It certainly seemed to when the children were playing at the party.